We have a staff of local servers and offer alcohol catering for events large or small. Let our full-service bar complement your event on location or enjoy the rustic and elegant atmosphere at the Big Bull Bar & Grill. Our approach is simple: make the customer happy. That’s why we customize our operation to fit your event’s size, style and beverage taste. We cater events like weddings, corporate retreats, annual banquets, community events and more both at the bar and just about anywhere within our 120 mile service area. To learn more and check catering dates please contact us or use our catering request form below. More of a talker? Call our catering staff at (406) 439-1269 for more information. WHAT BEVERAGES CAN WE SERVE? We can serve hard liquor, beer, wine and soda – or any combination of these options. See beverage menu. WHERE CAN WE SERVE ALCOHOL? We serve beer, wine and liquor at events within 120 miles of the Big Bull. We can serve at public and private venues, or of course, at the Big Bull. Please call our catering staff to inquire about availability and to hold your dates: (406) 439-1269. All of our catering servers attend a state approved alcohol sales and service training and can legally serve alcohol. HOW MANY PEOPLE CAN WE SERVE? We cater events large and small. If there’s a limit to what we can do, we haven’t found it yet. Don’t hesitate to ask. DO WE DO PRIVATE PARTIES? Yes. We do alcohol beverage catering at public and private events. 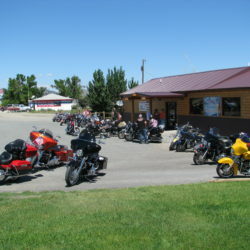 The Big Bull Bar is also available for private events on select days. Ask our catering staff for details: (406) 439-1269. DO WE WORK WITH FOOD CATERERS? Absolutely! We play well with others and are used to working in tandem with some of the area’s finest food caterers. Just need beverage service? We can help. We have a blast serving beverages at events across the area but did you know we also host events at the Big Bull? 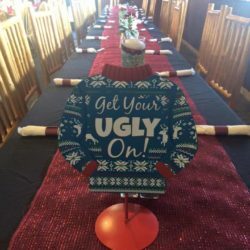 In fact, we host a whole slough of events throughout the year from holiday parties and board meetings to birthday parties, baby showers, retirement parties, and more! Host an event at the bar and you’ll experience for yourself what it’s like to have a worry-free event. Just set the date, let us know how many people you’re expecting, and we’ll literally do the rest! Our customers have a thing for fun parties – and we’re happy to join them! 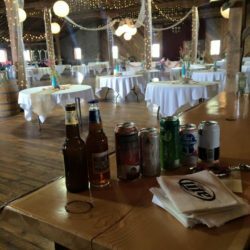 Whether you’re having a wedding, holiday party, corporate event or just want to throw a birthday bash we are the choice for alcohol catering in the Helena, Montana area. We can come to you or host at the bar. Ask about our full-service options. The Big Bull Bar & Grill has played host to many a board meeting and we don’t mean to brag but our fixins make for some pretty good decision making. From retreats to meetings, regional events and more – ask about our private booking dates or just call ahead to let us know you’re coming over. We’re a proud partner of the Kleffner Ranch and Staubach Creek Ranch properties. They’re some of the best wedding venues in the state of Montana and we’re blessed to have them right here in Winston! We serve at weddings across the area – request a quote for your wedding today. Use this quick contact form to get the conversation started or contact us using the information below. Our catering staff is standing by to learn about your event and assemble your custom catering quote. Ask to visit with the catering manager for more information. Don’t forget to ask about our menu, decor, and entertainment options that are sure to spice up your next event at the Big Bull Bar & Grill or your favorite private venue.